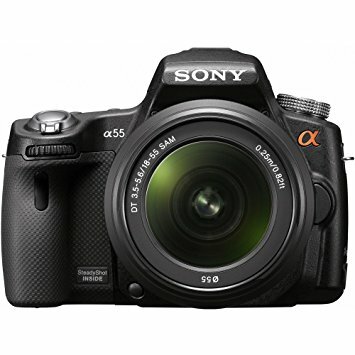 Digital single-lens reflex (DSLR) cameras are popular devices that can capture excellent images. If you’re trying to determine which one to buy, then we have you covered. We have compared the major models on the market from a range of top camera manufacturers. 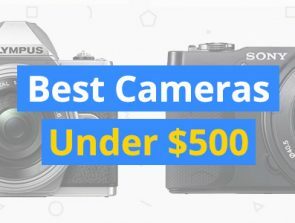 We will let you know what specs are most important and give you some recommendations on different cameras depending on your needs and your budget. 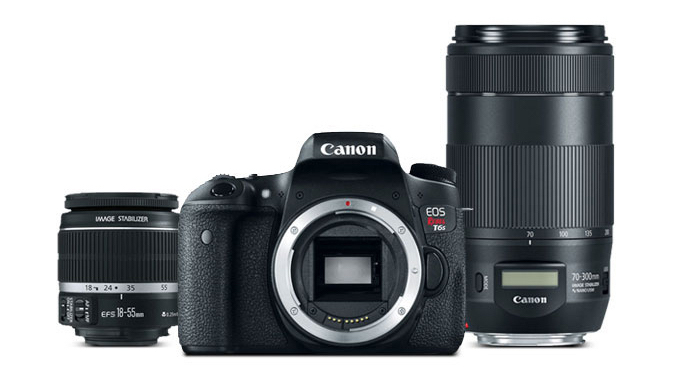 Canon is one of the leading manufacturers when it comes to DSLR cameras. We will first look at their full-frame models. These have large sensors that can capture professional-quality images. Of course, they don’t come cheap. Check out the table below. Canon also manufactures a variety of cameras with smaller APS sensors. These models are noticeably cheaper than their full-frame counterparts. Regardless, they can still take excellent photos. 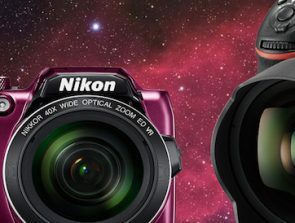 Canon’s main rival is Nikon, which also manufactures a range of powerful DSLR cameras. The models below all have full-frame sensors. Nikon also has a range of cheaper cameras, equipped with APS-C sensors. Check them out below. Olympus stopped making DSLR cameras in 2010, instead focusing on mirrorless cameras. Regardless, we will quickly cover the company’s older models. All these devices have four-thirds sensors. 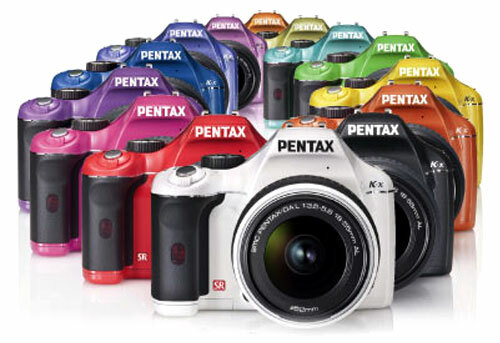 Pentax is another popular DSLR manufacturer. We have outlined the major models below. 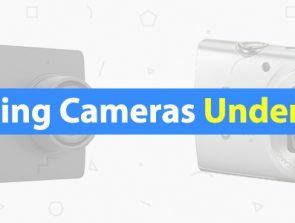 Keep in mind, all these cameras have APS-C sensors unless otherwise stated. Sony is another manufacturer that has moved away from DLSR cameras. Regardless, the company does have a few models still available. All cameras models have APS-C sized sensors unless otherwise stated. While it’s handy to know a camera’s megapixels, this spec is a bit overrated. Your first consideration should be sensor size. The greater it is, the higher an image’s depth of field and the higher the level of detail. Full-frame sensors are the biggest and considered the professional standard. A bit smaller are APS sensors, followed by 1.5” and 4/3” sensors. Don’t forget about a camera’s ISO range. ISO is a camera setting for determining the amount of light present in an image. Simply put, cameras with low minimal ISOs will be good for photographers who plan to do a lot of filming outdoors during the day. Cameras with high max ISOs are important for photographers who plan to film at night or indoors. If you plan on filming sports, wildlife, or anything else with fast-moving subjects, then you will want to select a camera with a decent burst speed. It can be difficult to take a good shot of a moving subject, so the more images you end up with, the greater the chance that one will be excellent. Don’t forget about autofocus points. The more available, the easier it is to identify and track moving subjects. Don’t think that you’re just limited to photos. If you’re seeking high-definition footage, then these cameras are up to the task. Most can film in 1080p and 720p. Some can even film in 4K, which is ultra-high-definition footage. Don’t forget about the fame rate. 30fps is ok, but 60fps is much better. Remember, to edit 1080p footage, and especially 4K footage, you will need a computer with the latest hardware. You will also need a considerable amount of storage space for the footage. Canon and Nikon are the main professional-level DSLR manufacturers. Therefore we will recommend our favorite device from each of them. The Canon 1D X Mark II is hard to beat. The 20.2-megapixel full-frame sensor can take superb photos. The extensive ISO range makes it possible to shoot in any lighting conditions. A 16fps burst makes it easy to shoot moving subjects while 61 autofocus points make it simple to hone in on and track subjects. Don’t forget this camera can record 4K at 60fps. Make sure you have cash in the bank as you’re looking at a price tag of around $6,000. Your other powerful option is the Nikon D5. The full-frame 20.8 sensor will capture excellent images. A whopping 153 autofocus points make it simple to hone in on a subject. A 12fps burst is excellent for action photography. This camera can also film 4K at 30fps. Of course, except another high price tag of around $6,500. For those seeking a mixture of value and power, we have some recommendations that come with a lower price tag. The Canon 7D Mark II is a solid all-around camera, which only costs about $1,060. It has a 20.2-megapixel APS-C sensor, which can capture excellent imagery. 65 autofocus points are more than enough for most photographers. A 10fps burst mode is also ideal for shooting moving subjects. While this camera can’t record 4K, it can record 1080p at 60fps. 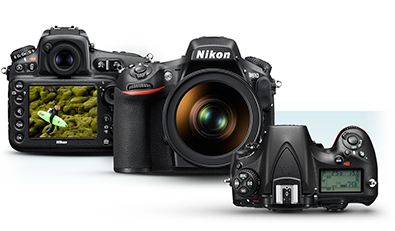 Another mid-range option is the Nikon D7500. This camera can record 4K at 30fps, has 51 autofocus points, and an 8fps burst. These specs make it a powerful all-rounder for only $1,250. If you’re simply after a basic camera that won’t cost you an arm and a leg, then you may want to consider the Nikon D3300. You can get a new model off Amazon for around $400. Used and refurbished models are significantly cheaper. While this device isn’t the highest performing, it still does basic photography well. A 24.2 megapixels APS-C sensor allows you to take quality shots. You will also be able to take advantage of 11 autofocus points and a 5fps burst mode. This model can also record 1080p at 60fps. These specs are a great value, considering the low price tag. A slightly cheaper option is the Canon Rebel T5. You can usually pick up a new one for around $370 off Amazon. Don’t expect the best specs. However, you will still have an 18-megapixel APS-C sensor and nine autofocus points. This camera can shoot 1080p video at 30fps and 720p video at 60fps. Don’t rush your decision. 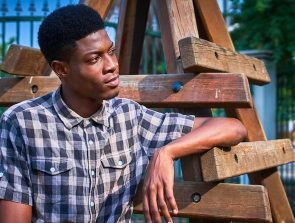 It pays to take your time when selecting a DSLR camera so that you can get the model that’s perfect for you. You don’t want to hand over a significant wad of cash and then have doubts. Take advantage of our tables and recommendations so that you can fully compare your different options.